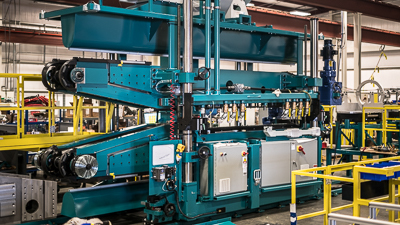 For more than a quarter-century, Ahaus has been designing and building special equipment and assembly automation equipment. 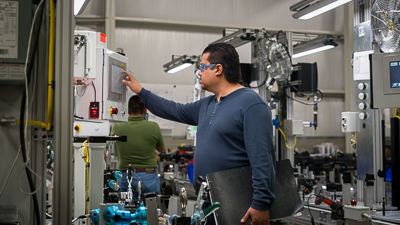 Our extensive experience with industrial automation includes: assembly equipment, part joining/crimping equipment, bearing insertion assembly equipment, automation of part handling, robotic systems integration, process controls and custom metal removal. We incorporate feeder bowls, part handling and joining into a fully automated or lean assembly system. 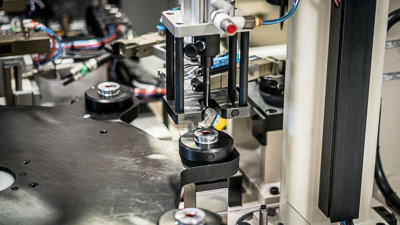 Fully automated systems combine the best of speed and accuracy for assembly and test solutions. Ahaus includes, with every project, a complete complementary project management package including a project manager as your single point of contact, initial conception and design, customer reviews and approvals throughout the entire project, controls hardware and software design, and assembly debug and runoff of the final product. Our very knowledgeable engineering team can work with your in-house engineering team to develop the best fit for your challenging needs. 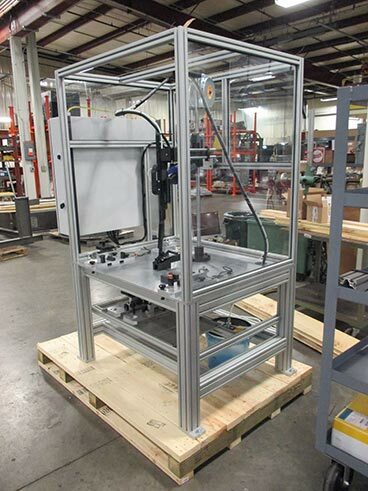 Ahaus has designed and built numerous stand alone stations to allow operators to interact with screw drivers, presses, crimpers, and many other tools required to assemble your components. With an integrated PLC your facility has the capability of extracting data strategically collected for quality and traceability. Semi-automatic work cells combine the robust precision of automated equipment and also the cost-saving features of operator assembly and part manipulation. Semi-automated work stations offer a more cost effective solution when compared to a fully automated work station. Ahaus has the expertise and ability to identify the aspects of your assembly project that can be easily automated and the aspects that are more cost effective to be done by an operator. Ahaus is able to help you save valuable resources by providing the best method to implement lean manufacturing in your assembly process. 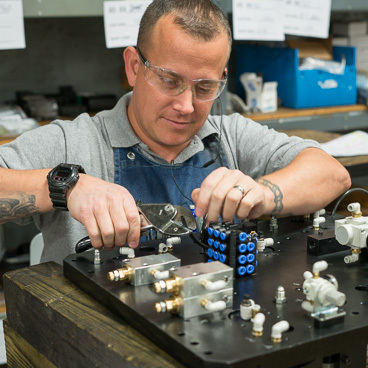 By finding the best possible solution, we are able to reduce labor input, floor space, capital investment, energy, and many other resources to get your components assembled as efficiently as possible. Using a test system may be the solution to confirm that your components pass capability testing. Ahaus has designed and built numerous test systems to confirm leak rates, failure modes, torque, and many other applications. PLC feedback can allow your facility to capture the test data output to track quality. Sometimes a company comes to Ahaus with a speciﬁc production need and an idea of how to address it. In those cases, we work in tandem with that customer to resolve the manufacturing challenge. Other times, however, a manufacturer comes to Ahaus with nothing more than a need, giving Ahaus’ engineering staff both the challenge and the freedom to start with a blank sheet solution. From simple to complex, the results of these projects speak for themselves. Quality is top priority at Ahaus. 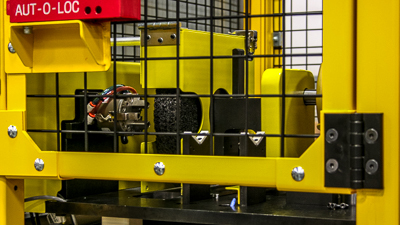 Ahaus designs, builds, delivers, and supports high quality, innovative manufacturing equipment. Ahaus’ core competency is the ability to move a project from concept through engineering to the shop floor and to the customer. Ahaus strives for continuous improvement through training, effective use of human resources, technology, and reinvestment of capital to create a competitive advantage for our customers and ourselves. Ahaus takes pride in American craftsmanship. Ahaus strives to meet customer requirements. Ahaus’ quality system meets the requirements of ISO 9001:2008 standard. Quality shall be measured, evaluated, and documented. Ahaus deals with our employees, customers and vendors ethically and respectfully. Ahaus strives to be a quality corporate citizen by providing meaningful employment, supporting community needs, maintaining fiscal responsibility, and complying with environmental and safety requirements.